Faith Fighter Returns With An All-New Sequel! Faith Fighter was great, but some people complained, and now, it is gone. But that's OK. Because no sooner is Faith Fighter gone than a sequel arrives! 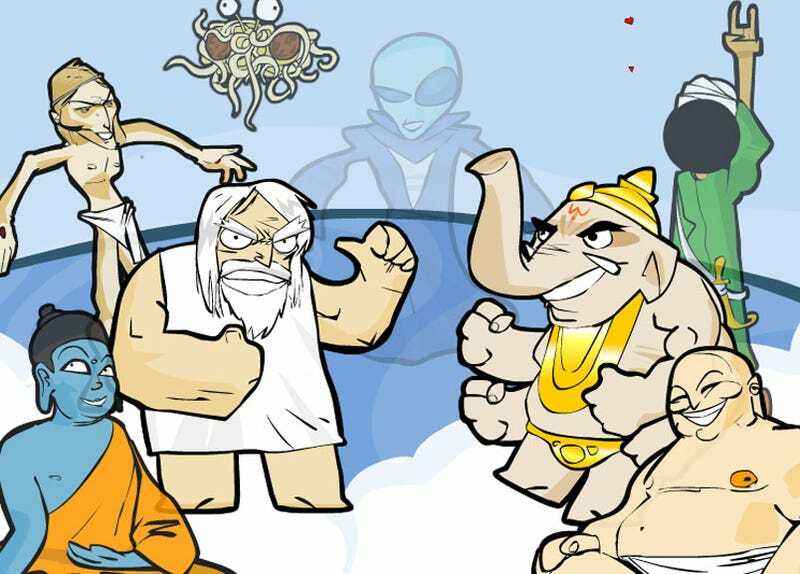 In a response to the "manufactured controversy" that surrounded the year-old game earlier this week, a new, improved version of Faith Fighter has been made available on Molleindustria's website. Faith Fighter 2 is the sequel of the infamous game that outraged over 1.3 billions of muslims from 57 countries. The scandal resulted in a ban from all the internets! We regretted the use of irony and violence and this time we want to offer you a positive, nonviolent educational game that teaches the universal values of tolerance and respect. This is a very simple game that can be played by children of all ages, religious leaders and even journalists!